Apothecaria is in the house! Her troops ready to lob a spear-volley at the enraged kraken! Fated looks for a means to climb up the pier and rejoin his men. The men reload or fire, whichever it is their turn to do. Loyal Beast of the Unknown Master 1st level fighting man and Allosaurus Big Al are in the house along with his 3 shades. Same action as before i'm aiming to keep the dinos alive while taking out the crab ticks. grand yet mystifying reporting for duty, sir! Velociraptor mount and band of yellow men with spears at the ready. Grand will reload his howdah while the yellow men repel he crab-ticks. Shade of Evermore opts for the critical hit, inflicting 4d10=15hp to the eye of the gargantuan cephalopod! The creature is unlucky and only rolls d4 hit dice (Carcosan Crazy Dice!!!) so having lost about 50% of its hp forces a morale check; as Heavy Horse the kraken needs to roll 6 on 2d6 but only rolls 5. Meanwhile on the pier the party wrestles with the remaining 9 parasites. With superior numbers, pikes, spears, etc. the party easily defeats the tick-things (no to-hit roll necessary) but in the process of detaching them, Big Daddy and Princess each take 1dd blood-sucking damage. Big Daddy has 59-3=56hp and Princess has 7-2=5hp (3HD). The parasites are defeated and the Hydraken is fleeing! Shade launches himself into the air. If light could reflect off of bone, the flash of light refracting off of the tip of his bone spear would momentarily blind any onlookers. But since that can't happen, everyone is able to see the perfect thrust of the jagged point directly into the pulpy bowling ball-sized orb. The hydraken instinctively jerks back, a jet of black ink-like substance blasting forth from a fleshy tube below the eye. The force of the ink geyser throws The Shade of the Evermore back onto the dock, where he slowly slides to a stop at the feet of Andre the Gigantosaurus. Shade lays there for a moment, trying to determine if he was hurt in the rebuttal strike. He frowns as the stench of the vile liquid enters his nose, but he is quickly distracted by the vibrating of the pier as the giant hydraken retreats to deeper water, leaving a cloud of black murky water in its wake. Once it is deemed safe, Shade will jump back into the water (in an area where it is not clouded with more black ink) and wash the fluid off of his body. He then calls the Deep One Minion to join him in the water once again so they can try to scout the other side of the pier. 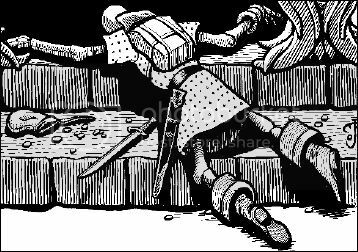 They will try to locate anyone or anything that may pose a risk as well as a mechanism for lowering the drawbridge. Loyal Beast's wraithlings skim across the surface of the water and find the mechanism to lower the drawbridge. The party has reached Guano Rock. This small island is coated with a thick layer of guano (petrified bird droppings), which the residents mine for profit. There is a small village and guano-processing facility, but it is vacant any sign of human life. All over the island are huge splashes of red, which appear fresh and sticky. Shade examines the settlement to determine if it was vacated hastily or if anyone took anything at all (items astray, common or valuable things missing or present, that sort of thing). Shade estimates the settlement at 40-50 occupants. He is [1d6] unable to identify the race/color of the inhabitants. Everything has been violently ransacked and stripped of valuables, at first glance. If the party wants to stop and rest here for an hour then a more systematic search can be undertaken? Shade is up for resting for an hour. What does the rest of the party think? Grand is up for a bit of rest. It will give him time to clean and reload his gun and for Nigel to brew up a nice pot of tea. Apothecaria wishes to search the area and is therefore in favour of lingering an hour. Guano Rock was---until recently---a desolate community of 40-50 white men scratching out their meager existence mining bird poop for profit. The substance has numerous chemical (and alchemical) qualities, but is best known usage is for agriculture, as a nitrogen-rich fertilizer. The rocky island is dotted with dozens of blood-circles, thickest in concentration near the living and working areas, suggesting the inhabitants died in an explosively gruesome manner. The gore is still sticky, implying the slaughter was recent. No survivors can be found. The office and dormitories have been ransacked and stripped of all valuables, food, and useful supplies, leaving only mundane everyday items, housewares, and personal effects of no particular interest. On the west side of Guano Rock is a large dock where the blocks of guano were loaded onto barges for water transport. Unfortunately the docks are all but bare, with only a single barge remaining, just large enough to hold a brontosaurus. Minion of the Unholy Fragnog is seized with excitement! "Think of the possibilities! With the right chemical processes, the nitrates in this guano can be processed into black powder---I just know it!" The Gunnery Veiled shares his enthusiasm, and begins mentally designing bigger and bigger guns. They will remain here and assume control over the guano mining operation, with their henchmen forming the core of a mixed community of orange and bone men. This removes these NPCs from active play and leaves their dinosaur steeds up for grabs. In particular we need a new gunner for the big radio cannon! Breath of New Moon will keep watch over the water, looking for any further threats. After a bit of rest and further examination, Shade suggests moving away from the carnal village before stopping for the night. Why don't you want to spend the night on this nice inviting blood-splattered island of bird ****? Birds? I thought bats made guano... or is bird poop called guano, also? I don't honestly know. In any case, remember that scene in Scanners where the guy's head blew up? Time to move far, far away from the village of exploding bodies. I haven't seen Scanners yet; is it worth watching? 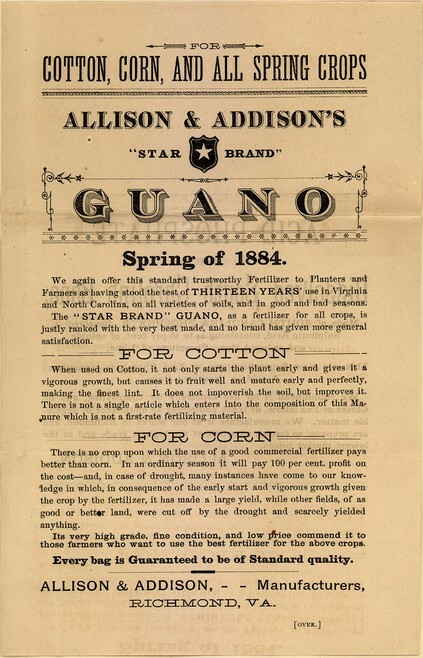 "Guano" can be bird or bat. In the real world it was one of those magical substances (like whale oil) that was incredibly useful in the 1800's and then fell into disuse when large-scale synthetic alternatives were discovered (read about "Haber process" if you find this topic as fascinating as I do). Er... only if you like crappy B-rated sci-fi/horror movies. I care not where we rest, my body doesn't need to sleep so my wraiths and I can keep watch. Loyal Beast of the Unknown Master says in a deep dark gravely voice. The wraiths occasionally screech an unearthly hateful screech at any of the living that come near. In the time were searching are there any lengthy pieces of corpse left like intestines that are still intact etc..? If so Loyal Beast will remove them and stow them in his pack for future injuries he may suffer. Breath of New Moon keeps a watchful eye for the return of THE HYDRAKEN while Loyal Beast makes a Search check (3) but fails to find any intestines or larger body parts---the remains are thoroughly liquefied, and frankly he's not even sure they're human. The best he can do is smear blood in some sort of pattern on his body or possessions, if he wishes. Grand enjoys a spot of tea (remind me what passes for "tea" in Carcosa?) and enjoys watching the antics of these various madmen. Gunnery the Orange Warior is surveying Guano Rock's highest peaks for the best sniper and artillery spots. He keeps muttering something about "commanding view of the harbor" into his wristhingych and then holding it to his ear. Bone Invoker Minion entrusts [red]THE ACCURSED TOME[/red] to the party (having memorized The Accursed Pits of Sighing, Accursed Sorcelling of the Poisoned One, and The Accursed Sounding of the Void, he has no further need of its vile mysteries) and entrusts a sealed letter for his apprentice [green]Vina[/green] for the party to deliver, if they ever make it back to Arkham alive. Fated hears Snarf's faint psionic call, however velociraptors say "I'm not sure this floor is entirely stable...." and then there is no more. Loyal Beast rubs a little bit of the excess blood on any scrapes or minor wounds he may have. He then returns to the rest of the group, pulls his sword, and prepares to be the watchman over the party. Fated keeps an "ear" open for additional calls from Snarf. If there's a fire, he pokes sullenly at it with a stick and ignores his mens' attempts to lift his spirits. Shade accepts the tomb from Minion and will begin reading it in his leisure time to learn what he can. Fated pokes at the fire that Nigel built for tea, but hears no trace of Snarf. Here is an updated map. X marks the spot (Guano Island). Since you have only the one motor-barge, you estimate it will take the remainder of the daylight hours to ferry all the dinos across to the wooded island, or perhaps a full day to cross to the larger Island of the Head.